Energy leaders from around the globe will gather April 9-11, 2012 at The Broadmoor in Colorado Springs, Colorado for the fourth annual Global New Energy Summit. 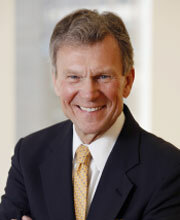 Tom Daschle, Former Senate Majority Leader, will moderate a panel of members from both sides of the aisle discussing ways to address global energy demands. Public policy plays a crucial role in defining our country’s portfolio of energy sources and maximizing our regional assets. Energy leaders from around the globe will assemble April 9-11, 2012 at The Broadmoor in Colorado Springs, Colorado for the fourth annual Global New Energy Summit. The event will bring together internationally recognized leaders across multiple energy-related disciplines – including science, industry, policy and finance – to discuss the current state of the global energy marketplace and identify practical, multi-disciplinary approaches to responsibly address global energy demands. Summit panels will discuss the latest trends in innovation, policy, markets and capital across all areas of energy, including oil, gas and coal, solar, wind, water, biofuels, nuclear, transmission and smart grid. This year’s summit will open with an International Expo highlighting exciting activities taking place in key regions including Asia, Europe and North America. 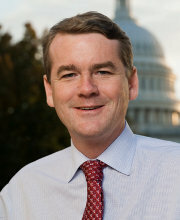 The Public Policy panel, being held Tuesday morning, includes Mr. Tom Daschle, former two-time Senate Majority Leader; Mr. Robert “Bob” Bennett, former 3-term Utah Senator; and current first full term Colorado Senator Mr. Michael Bennet. The panel will address timely issues such as the role played by the federal government and state and local governments in defining and executing an energy policy; the path to a long term energy strategy; financing critical upgrades to the aging power grid; the impact of energy on our national security and the need to integrate new energy sources with the existing infrastructure. The discussion will include a Q&A segment, opening the floor to conference attendee questions. “Public policy plays a crucial role in defining our country’s portfolio of energy sources and maximizing our regional assets. Having Tom Daschle, Bob Bennett and Michael Bennet on the Policy Panel will provide attendees a real down-to-earth view of the complexities of developing a policy or suite of policies that meet the country’s needs and is flexible for future opportunities. They’ve been in the trenches and bring unique insights to this discussion.” said David Blivin, Executive Producer of the GNE Summit. The Global New Energy Summit is in its fourth year, and brings together science, industry, policy and finance leaders to exchange ideas and build bridges to address burgeoning global energy demands. Committed Summit participants include Denis Hayes, Initial Organizer of Earth Day; Tom Daschle, Former Senate Majority Leader; Greg Leveille, Head of Global Unconventional Resources at ConocoPhillips, and leaders from NREL, LANL, Luca Technologies, ITC Holdings, Colorado Springs Utilities, EPRI, Patton Boggs LLP, Altira Ventures, DLA Piper, Intel, Arsenal Ventures, Wells Fargo, and numerous others. To learn more about the event and sponsorship opportunities, or to register to attend, visit http://www.globalnewenergysummit.org/ or contact David Blivin at dave(at)globalnewenergysummit(dot)org or by phone at 505-412-8537.